MIAMI (Dec. 10, 2018) – Look up in the sky! As part of the year-long celebration welcoming the new Carnival Panorama to the West Coast, Carnival Cruise Line today announced that its popular #ChooseFun AirShip will return with a month-long journey across California, launching on Dec. 31 in conjunction with the line’s first-ever Rose Parade float on New Year’s Day. The 120-foot Carnival AirShip will journey throughout Los Angeles, Orange County, San Diego, San Bernardino and Riverside counties and then to Northern California, heralding the December 2019 launch of Carnival’s newest ship, Carnival Panorama and inviting everyone to “Choose Fun.” The AirShip will fly over major cultural moments across California including The Rose Parade: A Showcase of Floats and sporting events, as well as visit schools, Carnival’s home ports in Long Beach and San Diego, travel agent viewing parties, and select trampoline park locations of Sky Zone, Carnival Panorama’s newest all-ages attraction. The AirShip will also be incorporated into the design of the Carnival Cruise Line float which will sail in the Rose Parade on Jan. 1. In conjunction with AirShip’s aerial tour of California, consumers will have a chance to win prizes that give them a taste of Carnival fun, including a Carnival cruise for two, when they enter the sweepstakes that begins on Dec. 31. Details on the sweepstakes will be announced later this month. 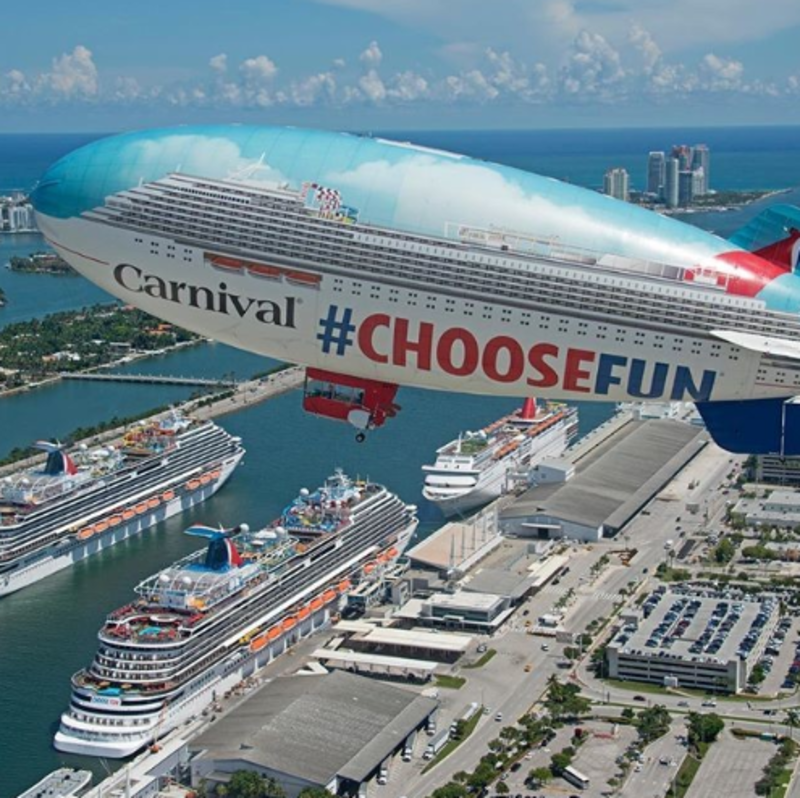 Additionally, for those who take a picture of the blimp using the hashtags #ChooseFun and #JumpIntoFun, inspired by the first-ever Sky Zone at sea on Carnival Panorama, Carnival will make a donation to one of its favorites charities, St. Jude Children’s Research Hospital. The Carnival AirShip made its inaugural journey this past summer when it toured the southeast U.S. in August and September to celebrate the arrival of new ships in multiple home ports. The AirShip proved to be a popular topic on social and news media channels, as well as with thousands of cruise fans who posted photos of the blimp on their own social media profiles. Carnival Panorama will debut with a special three-day inaugural cruise from Long Beach on Dec. 11, 2019, followed by the launch of year-round, seven-day Mexican Riviera service on Dec. 14, 2019. 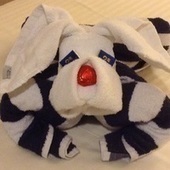 The ship joins Carnival Imagination and Carnival Inspiration to carry upwards of 600,000 guests annually from the West Coast – more than any other cruise operator. Hope someone from the forum wins a prize! It will be nice to have another ship at home in Long Beach (About 45 min drive from me) I'm sure I'll give it a try....... or it could be a good cruise for a group cruise so everyone does not have to go to Florida. ...and you liked the Vista, so this will be a good ship for you when it sails next year. Now if they could only get the airship made for passengers -- I would love to be on that cruise!